Yes, that’s right, I’m talking about myself today. 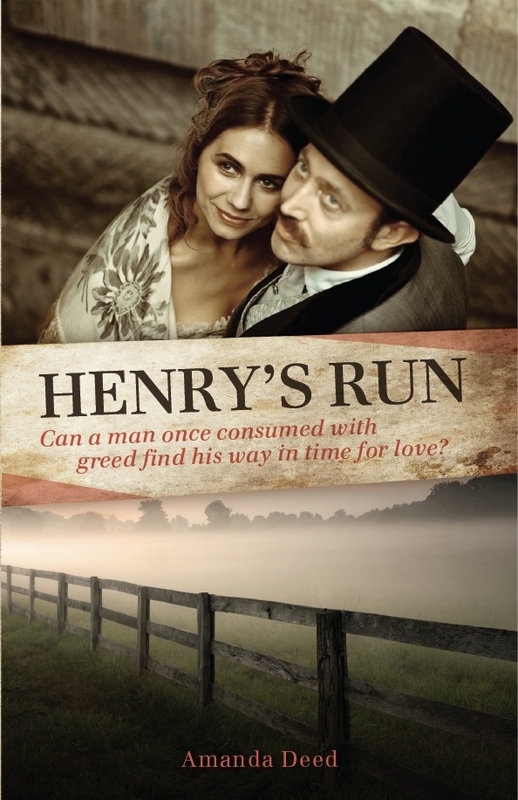 A few weeks ago, my newest novel and the last of my Jacksons Creek Trilogy, Henry’s Run, was released, so I wanted to celebrate that on my blog. This novel follows on from Ellenvale Gold and Black Forest Redemption, and yet it can be read as a stand alone. In this novel, I have taken the villain from the first two books of the series to see if he could be turned around. Does he deserve a second chance? Rupert Foxworth has made too many wrong decisions. He may be able to cast the blame on others, but ultimately he must face the consequences of his actions. With murder hanging over his head, can he make some drastic changes to his life before it’s too late? Will he be able to find the lasting love he has yearned for in his pretty cousin who has come to visit? Emily Harrison has some secrets of her own. Can she lay aside her past and learn to love a man who seems bent on destruction? She will discover that things are not always as they seem. Just leave a comment with the answer to one of these questions. The winner will be drawn at random on Tuesday 30th April, and announced on my blog on Wednesday 1st May. Anyone can enter, however, for overseas entrants, the winning copy will be a Kindle version. Australian residents have a choice between e-book and print copy. Don’t forget to add your email address, so I can contact you if you win. If you’ve read Black Forest Redemption, what kind of snake bit Stella Mattherson? If you haven’t read Black Forest Redemption, if you had to travel back in time to live in the 1800s, which modern convenience would you take (if you could only take one thing)? Last weekend I had the privilege of meeting together with other writers from all over Australia and New Zealand as well for The Word Writers Getaway — a Christian writers conference. We spent time learning, getting to know each other in fellowship, discovering one another’s books and a few new books were launched. One of those was a collaborative novel I have been involved with — The Greenfield Legacy — by Meredith Resce, Rose Dee, Paula Vince and myself. 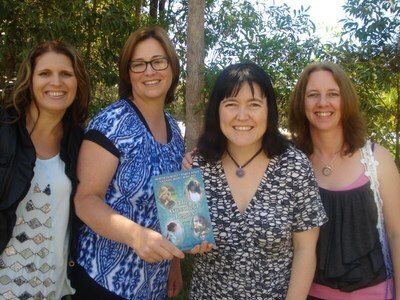 The whole experience of writing a novel with three other authors was a new and thrilling one. And even better, to see the finished product at the Getaway along with the other three women. 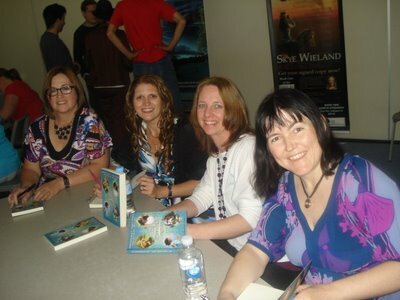 Together, we had a blast in pre-release promotion — filming interviews, signing books and answering questions in a special plenary session where we sat on the stage as a panel. This novel is not due to be officially released for another two weeks yet, but we are proud of what we have accomplished and there is a real buzz of anticipation towards its release. Through contacts that Meredith has, we are also proud to show our new book trailer. For more information about The Greenfield Legacy, go to Light the Dark or Amazon. Yes, that’s right, I’m talking about myself today. 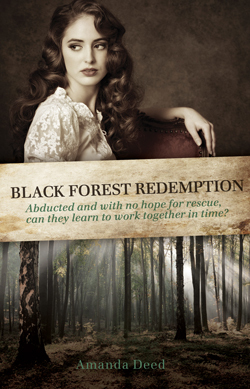 This week my newest novel, Black Forest Redemption, has been released, so I wanted to celebrate that on my blog. This novel is the second in my Jacksons Creek series, following on from Ellenvale Gold, and yet it can be read as a stand alone. I’m very excited, can you tell? A man resigned to a life without fulfilment or purpose. A woman desperate for adventure. Set against the tumultuous times of the Eureka uprising in Ballaarat, 1854, the two find themselves victims of an abduction. To escape could mean death. To hope for rescue is not an option. Together they must find a way to survive in an untamed land where bushrangers, dense forest and wild animals are only some of the dangers they must face. Can he find the courage to succeed? Can she realise her dreams of freedom? Will the ordeal forge a bond of love between them, or drive them apart? And above all, will they find their way home? Just leave a comment with the answer to one of these questions. The winner will be drawn at random on Tuesday 9th October, and announced on my blog on Wednesday 10th October. Anyone can enter, however, for overseas entrants, the winning copy will be a Kindle version. Australian residents have a choice between e-book and print copy. Don’t forget to add your email address, so I can contact you if you win. If you’ve read Ellenvale Gold, what did Rupert Foxworth do with the gold nugget he found on Ellenvale Station? If you haven’t read Ellenvale Gold, what intrigues you most about life in the 1800s?